Color did matter. There are three main colors to consider, white, bright white, and soft white. Bright White tends to have a bit of a bluish color to it, it is almost institutional feeling but is the brightest of the three choices. Next is White, it tends to feel like fluorescent lights and is not as bright as Bright White but is a more natural feeling color. The final is Soft White, it tends to feel more like an incandescent bulb with a warm feeling almost yellow color but it is the dimmest of the three. Brightness did matter. LED bulbs use a SMD rating to signify their brightness. From my research on the 921 bulb 42 SMD was the brightest I could find. Shape did matter. LED bulbs come in two basic designs, a round bulb similar to the original incandescent build being replaced and a flat panel bulb. In the end I decided on a eBay cheap bulb from China. It was about $20 for 20 bulbs which was enough to do all my bulbs with a few to spare. I choose soft white just because I prefer a more natural light. I also got a 42 SMD bulb, the brightest soft white builb I could find on eBay. Finally I choose a round design, just because installation was simplest. Next step was to test. First I did a comparison test. 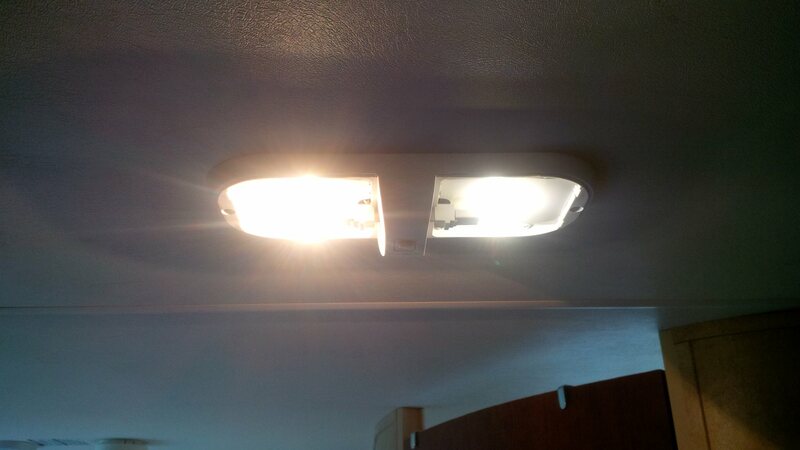 Note the original incandescent bulb is in the left side of the fixture and the new LED in the right. You will notice the color is similar but there is a noticeable difference in brightness. The next thing was to put a little science behind my research. 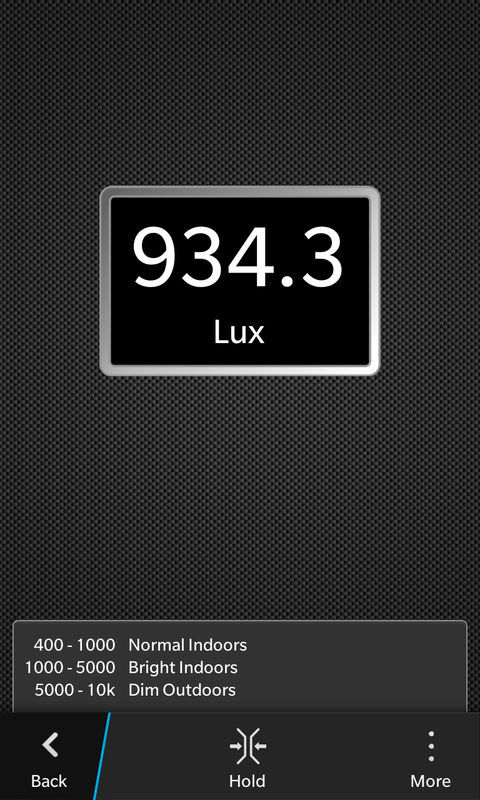 So I downloaded a Lux meter app for my phone and compared the results. 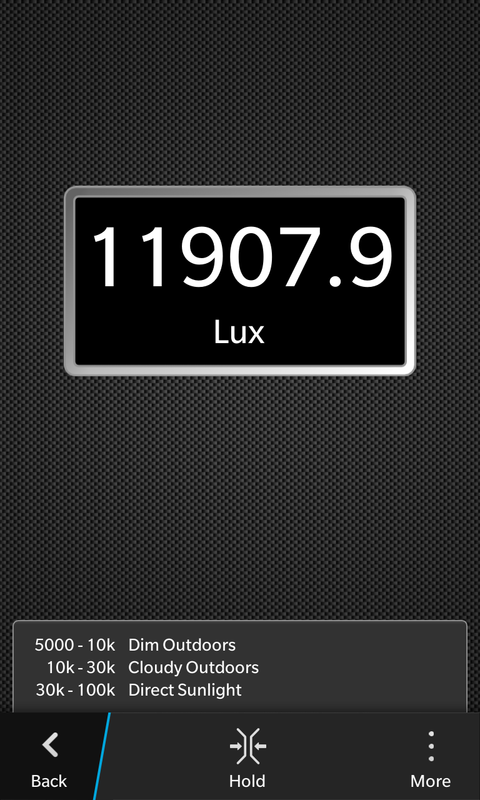 Note that at 1′ distance the incandescent bulb was 10x brighter. So what did I learn from all this? I found that I could get cheap bulbs on eBay for one tenth or less the cost of most retail stores. I learned that LED’s are not as bright as incandescent. But most important I realized that after testing a few nights, that it did not matter that they were not as bright, I did not need to be able to do surgery in the trailer especially since we read on electronic devices that are backlit. 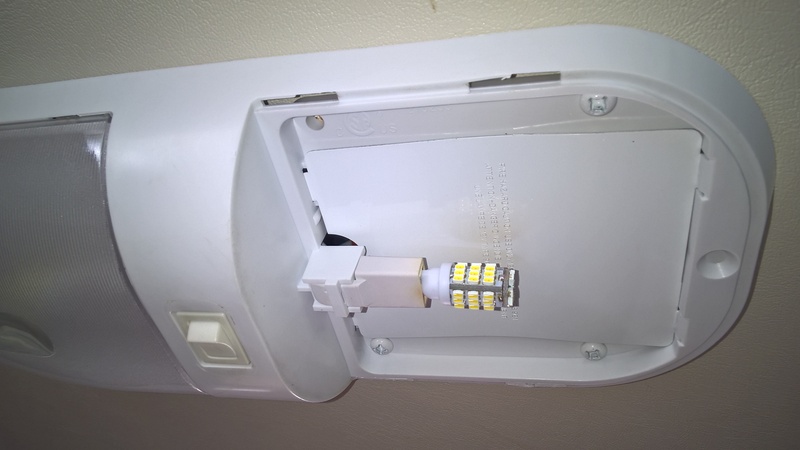 However some people choose to put a bright white bulb on the light closest to where they read, maybe because they still read off paper 🙂 One day I may switch some of them out for the flat panel style of bulb as having all the LED’s pointing the same direction may make the room a little brighter.